Art4Agriculture Chat – Page 85 – The world needs creative, innovative and courageous young people who can connect, collaborate and act. We know that youth may only be 20% of the population but they are 100% of the future. The time is now to let them share their dreams and design the future they want to see. 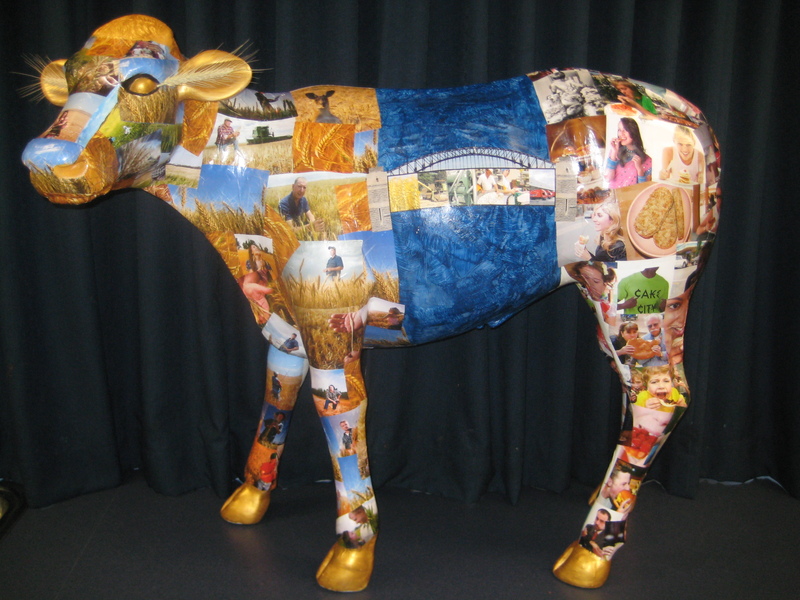 The Archibull Prize 2011 entries are in and Art4Agriculture is very excited. After months of a process that involves planning, teamwork, learning about sustainability, agriculture and the local environment 21 schools in Western Sydney have finished their artwork. importance of a sustainable approach to feeding Sydney. The disconnect between consumers and farmers – how do we find common ground. Understanding the disconnect between the food we buy and the impact that it has on the environment when we throw it away. 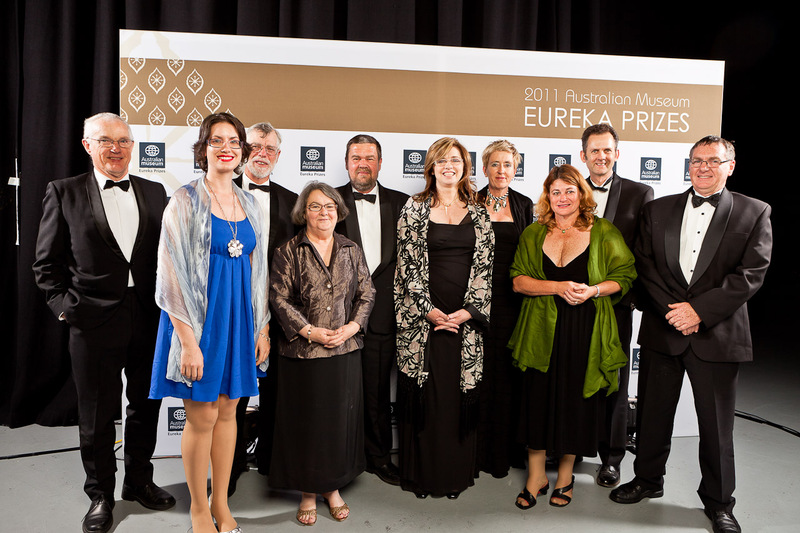 Rouse Hill Anglican College "Mootilda"
The ‘Oscars of science’—this is how the prestigious Australian Museum Eureka Prizes are viewed by scientists and media. Congratulations to our 34 farmers! Advancement of Climate Change Knowledge. This program is a perfect example of what happens when industry shows leadership and invests in farmers (levy payers) and works to together for the greater good of our food and fibre industries. In fact Art4Agriculture was so inspired by the success of the Climate Champions program we started the Young Farming Champions program using the Climate Champions “TOGETHER WE CAN CHANGE THE WORLD” ethos and the training components as a model. The Climate Champions program is a cross industry partnership of farmers across Australia and I love it. It has exposed me to the bright minds from other industries and there is nothing more rewarding for your personal development than surrounding yourself with innovative thinkers you can learn from. and self-belief since I joined the program in 2010. As the debate around long term food availability and affordability intensifies, Art4Agriculture believes it is vital for all organisations involved in the food supply chain to adopt a leadership position and work together side by side with their farmers to help safeguard Australia’s future food security. Climate Champion program – what is it? 34 Australian farmers have been recruited by the national Climate Champion program to help improve communication between scientists and farmers about managing climate risk. They are all interested in managing risks associated with climate and weather to improve productivity on their farms. They are keen to share their knowledge with other farmers. 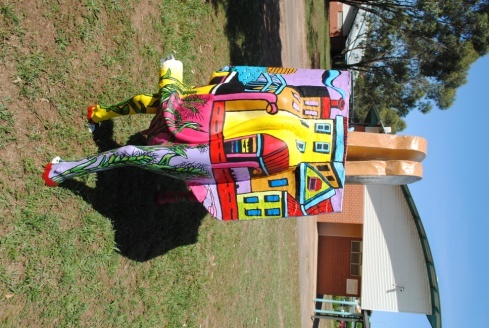 This year 21 schools in Western Sydney are competing for the 2011 Archibull Prize. the year for the announcement of the National Archibull Prize winner. Each school has to complete 4 tasks to be in the running for the Archibull Prize 2011.
on the LandLearn NSW Youtube channel. 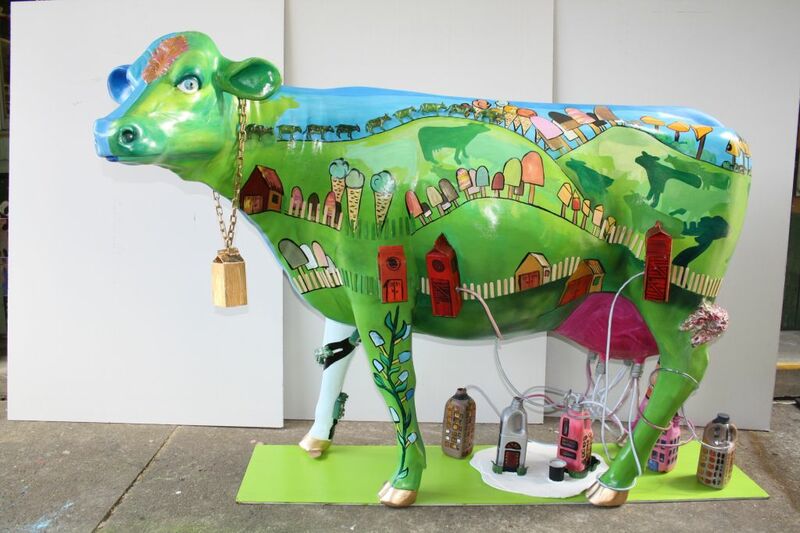 As part of 2011 the Archibull Prize entry surveys were promoted to teachers of each school participating. Teachers were asked to select at least 30 students to complete the entry survey (with a vision that the same students would also complete the exit survey). We will be releasing the full results of the survey in January 2012. In the meantime in light of the discussion about careers in agriculture I would like to share a few interesting survey insights with you. In general, students from both primary and secondary schools demonstrated reasonably good knowledge about farmers and farming; however, there is some scope for improvement. Interestingly most primary (90%) and secondary (82%) school students incorrectly said that farmers were between the ages of 30 and 50 years old. A higher percentage of secondary school students (50%), compared to primary school students (35%), correctly identified 60 million as the number of people that Australian farmers feed. Most primary (94%) and secondary (74%) school students said they wanted to know more about farming. view of farmers and farming. Most primary (89%) and most secondary (75%) students said that farmers are important to them. More than 80% of both primary and secondary school students said that the statements “It is important to know where your food comes from” and “It is best to buy Australian made products” are true and the statement “People in cities don’t need farmers” is FALSE. On the other hand more primary than secondary school students responded “true” (45% for secondary school, 81% for primary school). These are very important insights and provide a great platform for primary industries, agribusiness and the government and education sectors to take a collaborative approach and partner to build on the postives and address the negatives and debunk the myth conceptions. We have 7 billion people to feed, house and clothe and we need farmers to do this. Are you passionate about the future of farming? around Australia to showcase the industry. Do you have a story to tell about your own career in agriculture? What are your ambitions for agribusiness? Australian Year of the Farmer is looking for talented committed communicators to help raise awareness of the contribution agriculture makes to the lives of all Australians. trailers laden with various forms of tactile, visual and audio style elements. Agricultural Industry to rural, regional and urban Australia. – We are looking for either individuals and/or people in pairs. unless otherwise highly knowledgeable about another state(s). the nearest main city or possibly from your home office. Author Picture You in AgriculturePosted on November 7, 2011 November 7, 2011 Categories UncategorizedLeave a comment on Are you passionate about the future of farming? living on the planet and they were right. That’s 7 billion plus people who need feeding and clothing and housing. Well there has been a lot of talking about the problem, a lot of writing about the problem and a lot of suggestions put forward. Consider the need for imagery and promotion of opportunities to help young people make connection between themselves (skills, personality, interests) and career opportunities in the agriculture sector (given the disconnect between urban and rural). for them entering tertiary study or tailored career pathways”. Well this has changed and excitingly the Australian Council of Agricultural Deans has addressed this with their newly launched awesome website. Great Divide – City and Country. Working the Land – Careers in Agriculture. Highly concerning however is the fact the conference coordinator tells me city school conference registration numbers are down. When she asked Careers Advisors why they said “careers in agriculture aren’t relevant to my students”. Frightening for the world in general especially the 1 billion people who go to bed hungry every night when city based careers advisers don’t think careers in agriculture are relevant. Author Picture You in AgriculturePosted on November 6, 2011 November 6, 2011 Categories Uncategorized1 Comment on The noblest profession? Paint is drying on the bovine masterpieces who will shortly be submitted for consideration for the 2011 Archibull Prize. 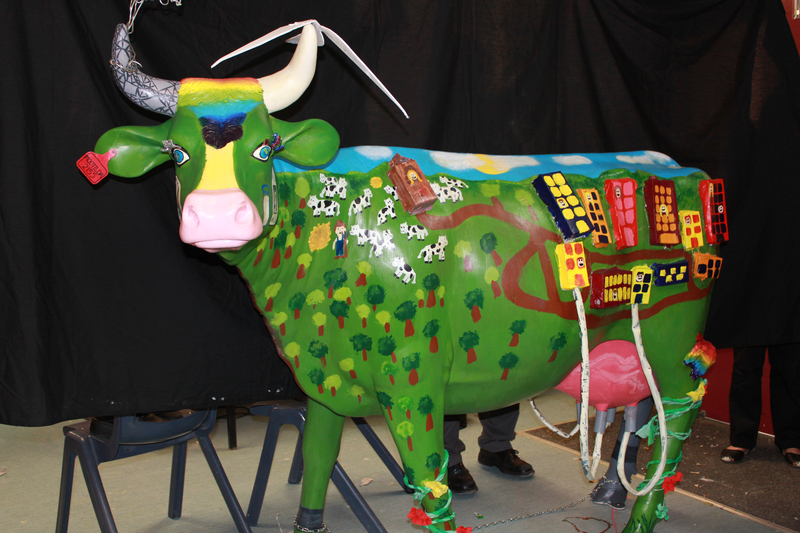 Each school has been allocated a food or fibre industry and has been provided with a blank fibreglass cow that students will decorate to highlight what they’ve learned about the challenges of feeding, clothing and housing the world with a declining natural resource base. Art4Agriculture would like to thank Deborah Leake from Meat and Livestock Australia, Brooke Summers from Cotton Australia and Claudia Wythes from Australian Wool Innovation for their support of the Young Farming Champions in school visits. Great team work and great outcomes.